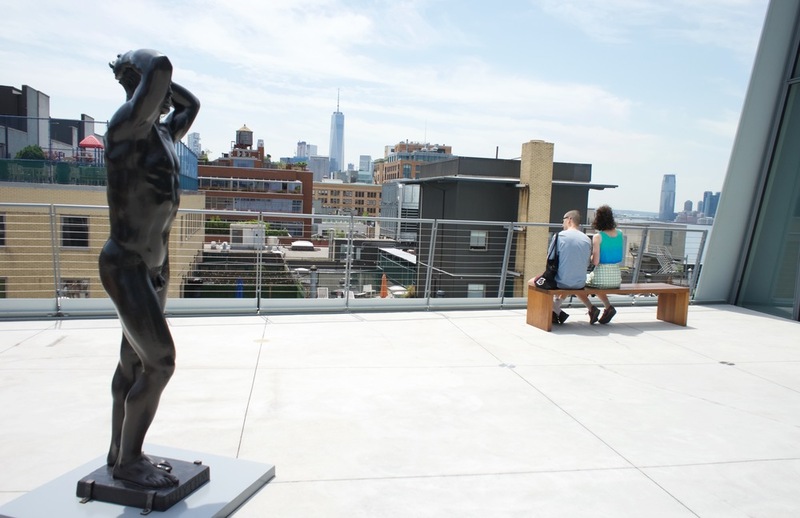 The Whitney, opened for a little more than a year has truly become a world class cultural destination attracting locals and tourists in droves. The Highline is in full bloom and with a new food court within Chelsea Market there’s an even bigger buzz to this ever popular NY attraction. 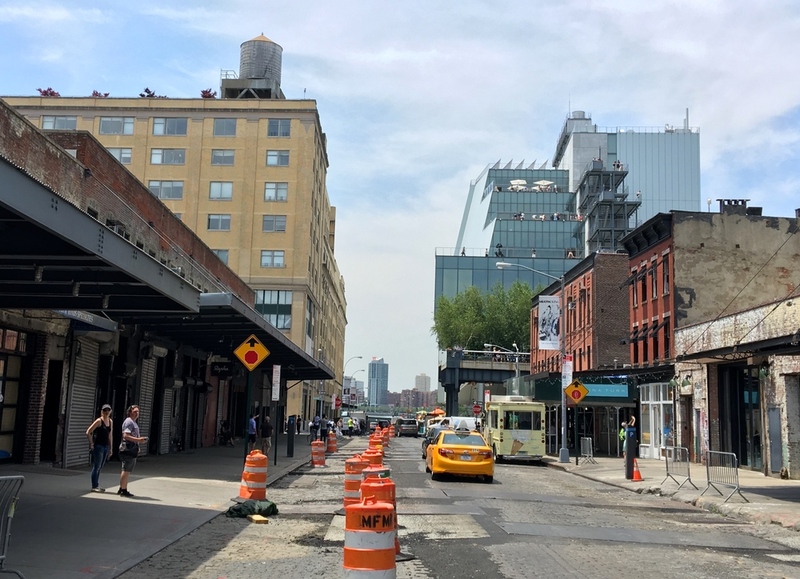 With the weather heating up it’s a perfect time to head to the revitalized Meat Packing District for a leisurely walk and to view the new show celebrating portraits at the Whitney. Eat: Just a few blocks from the Whitney, on Hudson Street, are two new spots perfect for breakfast and lunch before or after a museum visit. Popular juice bar and vegan café, The Butcher’s Daughter just opened its second NY location in a beautiful, airy, light filled space that offers many of the same healthy choices as its Nolita sister with some new menu items such as wood oven pizzas. They love it in Philly and so far NY has embraced High Street on Hudson, a neighborhood newcomer known for its house made bread and pastries and excellent breakfast sandwiches. Lunchtime offers creative salads and sandwiches. This is an all day restaurant—a quick look at the dinner menu was enough to inspire a visit in the near future. At The Whitney: We suggest you go soon to the Whitney’s new show Human Interests: Portraits from the Whitney’s Collection even though it is running until February 2017. This approachable, engaging and intriguing show is alive with personality and relevance and one you’ll want to see more than once. Spread across two floors the 200 works, a mix of paintings, photographs and drawings all from the Whitney’s own collections are divided into thematic sections ranging from the early 1900s to today. Portraits have always been an integral part of the Whitney, reflecting its founder, Gertrude Vanderbilt Whitney’s love for the art form. Don’t miss her prominent portrait, scandalous for the time, and fittingly included in the show. We highly recommend you join a docent tour or get the headsets in order to gain greater understanding and meaning. Another reason to go soon—Urs Fischer’s larger than life size wax candle sculpture of artist Julian Schnabel is burning and melting, lit each morning and extinguished each evening, a metaphor perhaps for our age of celebrity and the universal quest for fifteen minutes of fame. 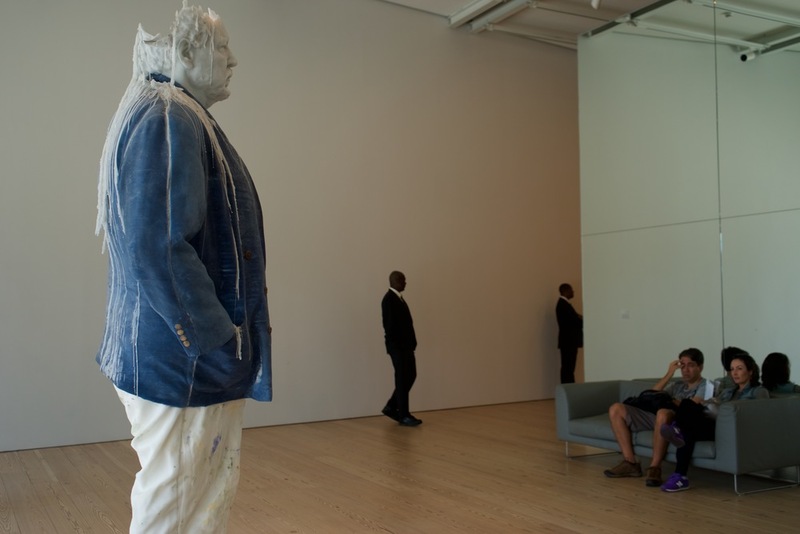 Regulars: If you live in New York, consider becoming a Whitney member. The perks include immediate access, insider events, a reciprocal admission program at museums worldwide plus a neighborhood discount program at local restaurants and at the museums gift shop and its excellent restaurant, Untitled. New at the Market: We’ve been fans of Chelsea Market since the early days when you could actually move through the interior without having to navigate through crowds of tourists. It’s worth braving the crowds, and now more than ever with exciting new vendors set up in a newly designed light filled space close to the Ninth avenue entrance. If you haven’t been in awhile you’re in for a treat! Calling all hummus lovers—just last week Dizengoff opened, another Philly import, from star chef Michael Solomonov of Zahav fame. This is his hummus temple offering each day a few varieties of hummus and vegetable “salatim” (we loved the raw kohlrabi) served with fresh baked pita, chopped salad and Israeli pickles. The selections change each week; in addition to the traditional tehina hummus you might find avocado peanut, lamb neck or romanesco with pine nut. (Follow Dizengoff on Instagram to see the daily menu.) Early birds can try the newly trendy shakshuka, served only at breakfast from 10-11:30. We are already addicted to Seed and Mill’s tahini. Once you try their fresh tahini, ground on site at Chelsea Market, you'll find it hard to return to your supermarket brand. (We also bought the green tahini, delicious drizzled on roasted vegetables.) Started by three health minded friends, Seed and Mill also sells small batch artisanal sesame halva in unexpected flavors. Don’t leave without trying the goat’s milk soft serve ice cream from the Village’s Victory Garden served with a choice of a drizzle of tahini or some sprinkled halva—we’ve already been back twice! Filling out the new food court are Davidovich Bagels, Filaga serving Sicilian pizza, Berlin Currywurst from Los Angeles, Cappone’s Salumeria and Lil-Lac Chocolate. 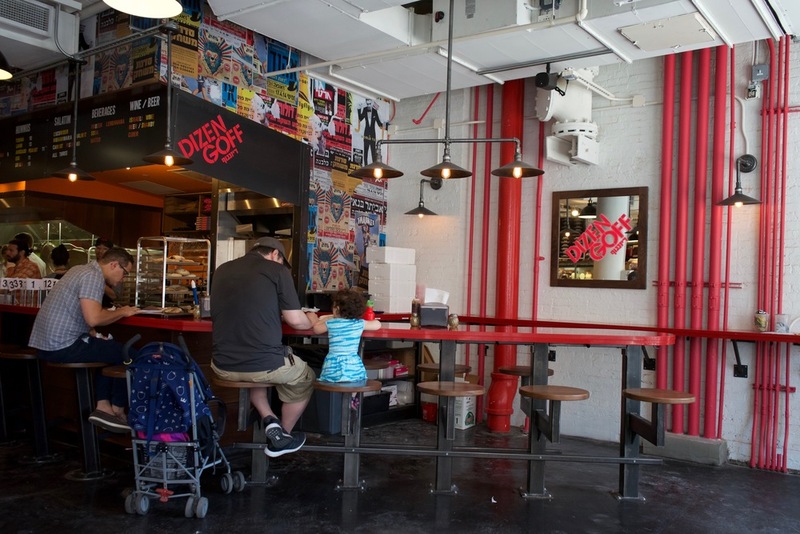 Other newer spots to check out at Chelsea Market are Very Fresh Noodles and Creamline from Ronnybrook Farms for burgers, fried chicken and great milkshakes. Moving Day: The Gansevoort Market is moving to a new home, opening sometime this summer, on 14th Street with some returning vendors and new additions such as Big Gay Ice Cream and Luke’s Lobster. The old space on Gansevoort will be the new home for Keith McNally’s beloved French Bistro Pastis closed since 2014.